Investing in real estate is one of the savviest ways to make money. The problem with real estate though is that it can take up a lot of a person’s time. In our Roofstock review we’re going to demonstrate how using Roofstock’s services saves time and effort while bringing in money. With Roofstock, you can buy multiple properties and benefit from the income that comes from renting them out. In the following lines, we’ll try to offer an in-depth analysis so we can give you a full and complete picture of Roofstock. Click here to sign up for Roofstock and start building wealth through real estate! Roofstock Review: How Does it Work? Roofstock is a rental property online marketplace. Its target is busy people who want to make extra money each month by owning rental properties without wasting their own personal time and effort. Basically, you can keep focusing on your full-time job while Roofstock does the rest. Actually, you’ll probably have time to make money through several other methods as well, since Roofstock will operate in the background managing your rental properties without any needed input from you. On creating an account, Roofstock will present properties that you can buy and then rent out. The service doesn’t own any of the properties listed, it just acts as an intermediary. The perk of using Roofstock is that they screen properties to make sure they’re up to standards. Any property that fails to meet the service’s standards will not be listed by them. You can rest assured that all available and listed properties have been thoroughly screened and we’ll talk about these standards later on. Roofstock has over 100 properties listed which is more than almost all similar competing services. The fact that there are so many properties available is a huge plus because if you want to invest today so you can start making money tomorrow, you’ll definitely be able to. With other services you might have to wait a long time until something shows up that suits what you’re looking for. Get started with Roofstock today to sell or buy your ideal rental property. The service is currently available in Orlando, Southwest Florida, Atlanta, Tampa, Jacksonville, San Francisco, Las Vegas, and more. Don’t want to invest in a property in any of these cities? Just hold on a bit because Roofstock is constantly expanding its availability and spreading to more markets. Each market comes with its own instructions and a few specific notes that potential buyers need to be aware of. If it doesn’t matter to you where you invest, you can take a look at the notes that come with each market and decide which one suits you best. Compare and contrast between different markets to obtain the best value. Take your time with choosing. Better to think carefully at the start than to make a quick purchase and want to return it a few days later. Additionally, properties are broken down according to a few categories. You’ll have those that are classified as high yield or ones that are near great schools for example. By selecting certain filters you can choose the kind of things you want in a property. A general rule associated with renting is that you should receive at least 1% of the property’s purchase price from each month of rent. With Roofstock, this isn’t an issue you need to worry about or calculate. The company negotiates prices before listing properties in order to guarantee that buyers end up making enough profits to make them satisfied. If you were wondering “is Roofstock legit?” then we hope this answers your question. Find the best property to rent out and earn extra income through Roofstock! Buying property can leave some people quite anxious. When you buy something you want to make sure that it’s almost flawless and is worth its value. Having to inspect property and hire professionals to ensure its amenities is one of the reasons investing in real estate yourself can be both time and money consuming. Roofstock eliminates the issue by vetting properties for you so you know you’re getting the best when you buy something they have listed. Frankly, if we didn’t tell you how they decide whether or not a property is up to standards then our Roofstock review would be lacking. First of all, properties are inspected by investment property inspection firms. These inspections are done in person. You’ll be using Roofstock over the Internet, but a lot more happens behind the scenes. The inspection firm will also list an approximate cost of the needed repairs over the short term. Each property must have an analysis of local market conditions. This helps determine selling price and future rentals. Properties must also have floor plans, photos, in addition to reviews and summaries of lease plans and the tenant selection process. Roofstock also creates 3D virtual tours of properties. These allow an interested investor to basically take a tour of a property they’re thinking about purchasing all from the comfort of their home. Once all of these items are met and completed, a property can then be listed on Roofstock. Like we said, there are over 100 properties available for sale on Roofstock and all are guaranteed for having all of the items we just mentioned. You could be thinking that all of this sounds great, but why would people be selling these properties anyway? Well, there are plenty of reasons a person or family might want to sell. The first is that a person might want to increase their capital for whatever reason rather than have its invested in property. Another reason is that he or she simply predicted and expected more revenue from a certain property and decided to sell when his or her expectations weren’t met. Regardless of why a person wants to sell, if you believe making an investment through Roofstock real estate will bring in extra money each month that you need, then you should definitely go for it. It really is incredible to be able to purchase property then rent it out all through the Internet without having to leave your house. You could invest in multiple properties in multiple states. Click here to sign up for Roofstock and get immediate access to 40 real estate markets across the U.S to find the right property for you! Before making a purchase you need to look at that property’s analysis. The most important part of that analysis is the inspection segment. An inspection report has all of a property’s data in details and you need to read it carefully. Even if you’re not interested in knowing more about your investment, the data in the inspection report will play an important role if you choose to return the property and get your money back. Roofstock is free to join. You can view properties without paying any fees. It goes without saying that any property you find on Roofstock has been vetted and verified by their standards. Just select your preferred property, learn about it and its marketplace, and invest. If you purchase a property and aren’t satisfied, you can return it within 30 days. Roofstock will re-list the property for sale so you can get your money back. If no one else buys it after it is re-listed for 90 days, Roofstock will buy it and return your money. Roofstock certified properties come with a 30-day, money-back guarantee even for remote investors. Start looking for the best rental property today! Finding a place you can buy in an area with low real estate prices and high rent prices is like falling into a goldmine. Sure you’ll be paying a lot of money upfront to make the purchase, but you’ll be securing yourself a monthly source of income. If you feel like making more money each month, investing in real estate is one of the best ways to go. You go about your life and extra money comes in. Get started with Roofstock today and buy an investment property with as little as 20 percent down! Roofstock has plenty of properties available and each has its own analysis. Their services are also available in several markets with each market having its own features. If you’re not getting the revenue you want from investing in one market, you can simply sell that property and look for another. Additionally, if you have certain preference for a market, you can make multiple investments in it. Don’t want to personally manage your investment or just don’t have the time? Roofstock can provide you with certified property managers to take care of things for you. They really have everything you might need completely figured out. It costs absolutely nothing for you to browse Roofstock looking for properties. You won’t spend a dime looking at investment opportunities, their 3D virtual tour, pictures, and their analysis including the inspection report. Once you find something you like and settle on making a purchase, you won’t pay much either. The purchasing fee which goes to Roofstock is only 0.5% of the value of the property, or 500$ whichever is higher. 0.5% or 500$ are really nothing when you think how much money and effort Roofstock is saving you. Still not convinced? Well, real estate agents charge 6%! You can pay using your credit card. It’s really that easy. Sellers only pay a 2.5% listing fee. Start looking at rental properties for free by signing up for Roofstock today! When you make a purchase you’ll be getting its contract from the property’s previous owner. If the property already has tenants, you’ll start receiving rent money straightaway. There will be no time wasted looking for renters. Make a purchase and immediately start receiving money. Plus, listed properties are already functioning so you won’t spend time or money repairing them. This makes it different from flipping houses which is quite time consuming and not as guaranteed. The property you buy has passed Roofstock’s meticulous vetting process and standards which we already discussed in detail. You can find out everything there is to know about a place by reading their inspection report. It’s still recommended that you go see property yourself, but if you don’t have the time for it, inspection reports contain everything you need. You also have the 3D virtual tour so you can view every detail of the house through your computer. 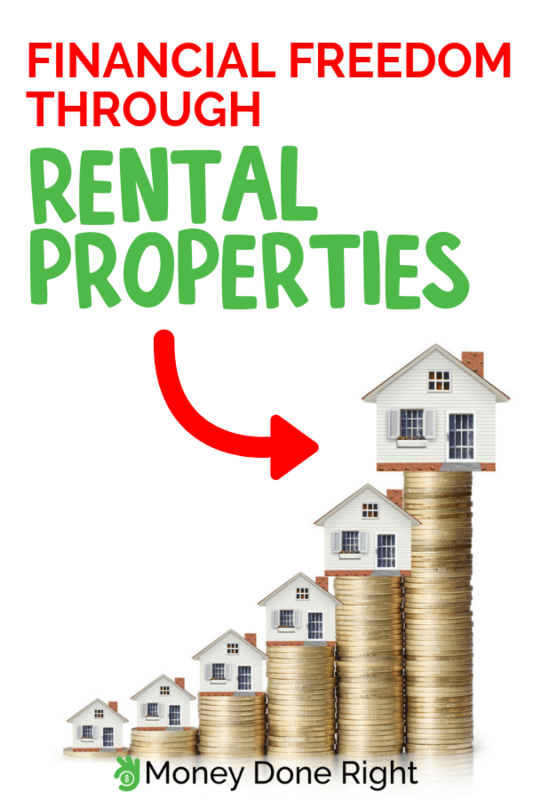 Worried that the rental property you want to buy won’t be up to par? Let Roofstock vet it for you! Most of the cons we’ll list in our Roofstock review have to do with the idea of investing rather than coming with using Roofstock. Roofstock might have made the whole ordeal much simpler, but investing in real estate is always a risk. You might not end up making as much money as you expected or the market might change. So don’t mistake Roofstock digitalizing the process and doing the inspection for you for a risk free investment. Another issue to keep in mind is that buying is much easier than selling. Once you decide to buy a property, the process will be straightforward. On the other hand, selling it might not be so easy. While Roofstock makes life easy, that doesn’t mean you can invest with your eyes closed. We still recommend going to see the property yourself and to perform due diligence. You should also pay heavy attention to the inspection report because it plays a role if you decide to return the property within 30 days. Don’t just rely on market data provided by Roofstock either. Do your own research according to your own needs and check for any discrepancies. Investing in real estate can be a risky thing, so do as much research as possible to minimize risk. While you can expect to make money each month from renters, to make the purchase in the first place you’ll need to lost portion of your capital. If you want, you can still apply for a mortgage. Nonetheless, down payment while applying for a mortgage for homes that aren’t your primary residence will be between 20-30%. This might be an obstacle if you don’t have the capital to straight out buy the property or even pay a sizeable mortgage. It’s true that Roofstock will hand over property in its best possible state, but this doesn’t mean the place won’t need repairs in the future. Things break and you might find yourself needing to pay for the repair of a fridge or heating. If you don’t have money set aside, this could leave you in a really tight situation. Tenants will expect things to be repaired immediately. It would be unacceptable to leave them waiting while you find a way to fund repairs. Sign up for Roofstock and start investing in top U.S. rental markets with solid returns with utmost confidence! As our Roofstock review comes to an end, we want you to think about investment as a whole rather than focusing solely on Roofstock. Roofstock takes care of almost everything, but at the end of the day, it’s still your money that’s being invested. Take your time, study and analyze as much as you can, and decide on the best property for you. Roofstock will handle the rest. Do you have any experience with Roofstock, either as a buyer or seller of investment properties? We’d love to hear your thoughts!